Are you heading out for a long hiking expedition? Or are you looking for a trustworthy tent to get a comfortable sleep in the middle of the forest? 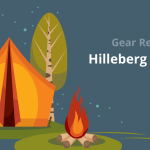 In this article, I will be talking about the best backpacking tents. The world is a beautiful place and there is countless scenery to explore. A hiking expedition is a great way to visit the inaccessible areas. These areas might bring you to a majestic place you have never seen before. However, you can’t just keep walking for days, you need to sleep and rejuvenate your body. Then, you can carry on with the journey. A good backpacking tent is needed for a good sleep. There are many backpacking tents in the market. Choosing the right one may take a lot of time. 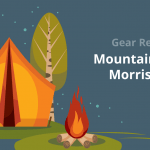 Since We have been researching on backpacking tents, I have condensed the things to look out for in this article and provide my recommendations. This depends on how long you expect to carry your backpack for. If you are thinking of doing long-distance wilderness hikes. You may want to get the lightest tent possible. If you have the time and want to find out the ideal weight, you can simulate your backpack and do the balance time degradation exercise as suggested in this study. First, add all your essential items into the backpack. Then simulate the weight of the tent by adding some random items. Measure the time you stand on one foot with and without the pack. Take these two timings and get the percentage difference. Aim for 20% or lesser. Record the backpack weight. Remove the essential items and there is your ideal tent weight. This factor depends on the seasonality and the coverage of the rainfly. Many people go for 3-seasons tents as they are designed to withstand typical weathers that a backpacker will face: rain, the wind but not a bad storm. 4-seasons tents are designed to handle bad weather plus snow, maybe even sandstorm. They are made of stronger materials to withstand the harsh conditions. Because of the materials they use, they tend to be more expensive and heavier. If you are not going to camp in the mountains or any place with extreme weathers, a 3-seasons tent would do. There are freestanding and non-freestanding tents in the market. Freestanding tents are easy to set up because they come with a pole system and you can set it up almost anywhere. Non-freestanding tents replace the pole system with trekking poles, stakes and guy lines. You have to hammer the stakes into the ground. If the ground is hard, you need to hammer even harder. Not only that, you need to place the stakes at the right spot if not the tent will be in an awkward shape. All these make set up time longer. The lack of a pole system makes non-freestanding tents lighter. However, the first time setting up a non-freestanding tent will be hard. Once you keep practicing, it will eventually become easier. If you are a new camper, a freestanding tent might be a good choice. If you want to challenge yourself, you can go for a non-freestanding one. When you exhale, water vapor comes out of your body. The water vapor gets trapped if the walls are not breathable. Condensation then occurs when the water vapor starts forming water droplets. It can become a nuisance when the water keeps dropping on your face while you are sleeping. Some people may mistake the condensation as a leaky tent. Tent walls that are full of mesh help to prevent condensation as they allow the water vapor to escape out of the tent. This prevents condensation and improves ventilation at the same time. There is partial and full rainfly for a tent. I recommend getting a tent with a full rainfly if you are camping in places with frequent occurrences of rain. If there is a torrential rain, a partial rainfly is not enough. The rain can blow sideways or water can splash up from the ground and get into your tent. The rainfly can also come in as a double wall tent. The outermost layer will be the waterproof rainfly while the innermost layer will be the breathable tent body. The living space of the tent determines your comfort. The floor that is lengthy is better for tall people so they don’t have to bend their knees while sleeping. Floor width is also important so you know whether you have enough room for your shoulders and arms. If you are going for a 1-person tent, you should look at the floor dimensions and see whether you can fit inside the tent comfortably. 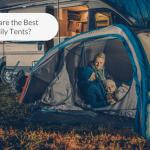 Many campers will tell you to pick two out of three things in a tent – weight, quality and price. If you are going for a lightweight and high-quality tent, you have to increase your budget as it won’t come cheap. If you are going with cheap tents, then you have to expect that the tent might not be either lightweight or reliable. I woke up with a sandfly bite in my lips before. I felt annoyed because my lips were swollen and tender to touch. Not only that, my friends were laughing at me because of the big lips. It was in Thailand where sandflies were common in some areas. While you may not meet sandflies in the place you are camping, there are always other pesky bugs waiting to meet you. Some of them even carry disease. Some tents come pre-treated with Permethrin that is an insecticide. It is applied to the fabric of the tent. Any insects that land on it will be killed. This feature is nice to have as you don’t want the bugs to be staying on your tent mesh waiting to go inside. However, the effect of the Permethrin is not ever-lasting so you have to keep reapplying it. It’s a nice to have to have vestibules although they will add more weight to your backpack. You can leave your gear outside the tent and sleep more comfortably. Although this is not recommended, you can go out and cook dinner in the vestibule when there is rain. Do take note of the risks associated with carbon monoxide poisoning and setting the tent on fire. Some tents come with plenty of interior pockets. You can keep the smaller items in these pockets instead of putting them around in the tent. You get more space for just organizing the small items. This is a freestanding tent. Although it is stated that it is a two person tent, some people felt that it could accommodate one more or could have shrink it smaller to reduce the weight. It comes with interior pockets and a gear loft so you can store smaller items in them to save up more space. There are two vestibules. You can keep your wet and muddy boots out or your backpack out to save up space too. The tent is full of mesh so there is good airflow to keep you cool and dry in hot and humid weather. The top to ground rainfly protect you from the rain and keep you warm in a cool weather as well. The rainfly comes with two little windows that you can look out when it is raining. However, people from outside can also see right through the window and see what you are doing inside the tent. If this makes you uncomfortable then perhaps this tent is not suitable for you. The materials are of high quality that makes it more durable. However, some people find that the zippers look flimsy and the floor too thin. It might be a good idea to get a footprint under the tent to protect the base. The two-pole system come with pole clips makes assembly easy and faster by snapping the clips to the poles. However, this might not be stable during a strong wind as only two poles are absorbing all that force. The tent is also on the heavy side for backpacking. If you don’t mind this, plus you need a spacious tent, this tent might be suitable for you. This is a lightweight tent. It does not have a very large floor space but it can fit two people. One person can live comfortably inside. The compact folding poles make it easy to lay out and assemble. The grommet pole attachment, hug and double center clips make the pitching easier. The rainfly is easy to attach to the tent body as there are buckles to buckle the rainfly and the body. The top half of the wall are mesh which creates ventilation. The lower half of the wall are polyester and it provides some privacy. The tent comes with a full rainfly that will not let any water in and provides complete privacy. However, some people find that the rainfly is too close to the body and it does not contain vents. This may cause some condensation. It can also be hot in summer too. It comes with a vestibule but the size is a little small. You probably won’t be able to put a lot of things outside the tent. There are interior pockets so you can keep smaller items in the tent. Many people agree that this tent can hold up to torrential rain and strong wind. If you are looking for a lightweight and waterproof tent, this is the one to go for. This is an even lighter weight tent that a lot of people love. The poles, stakes and body are made of thin lightweight material yet they are strong and durable. The good quality materials also make the tent pricier. There are two doors and vestibules. This makes it more convenient for 2 people to exit and enter the tent. The vestibules are useful to keep your gear outside and save some space inside the tent. The height is also good enough for sufficient headroom. You can sit upright, change clothes without touching the ceiling. They also added reflective materials on the tent. This is especially useful at night. You can easily spot your tent when you come back from somewhere. This is a very solid and sturdy tent despite the lightweight material that makes it seem flimsy. However, good quality materials always come with a price. If you have the budget and your top concern is weight and reliability, you can go ahead with this tent. This is a 4-person tent but many people find that it three people is the right capacity. If you have four people and none are small size, this might get a little too squeezy. If you are two people, this will be a roomy tent. The weight is considered lightweight for a 4-person tent. It won’t be suitable for backpacking if you are the only one carrying it as it takes up a fair bit of space in your pack. But, you can split the components and share the load with other friends. It comes with a bathtub floor that will prevent a pool of water leaking into your tent through the walls. However, some people find the floor a little thin so you might want to put a footprint to protect it. It has a full rainfly that comes with ventilation windows. The ventilation windows protect you from the rain and also minimize condensations. There are two vestibules but some people find it too small. This may expose the tent floor to rain when you are entering and exiting the tent. Another thing is you probably need to store your pack inside the tent and only leave your boots outside. This is not for ultralight backpacking but it comes with good quality materials. If you are looking for a durable tent that is also waterproof, you can go for this one. This 2-person tent is very spacious. When two people are sleeping in the tent, there is still room for storing their gear. Some people find that the weight is light but some find it a little heavy. In my opinion, I think it is an alright weight for backpacking but can be light when the load is split between 2 people. The tent body is complete mesh other than the bathtub floor. This creates great ventilation as well as a full view of the scenery around you. However, this can be an issue with privacy because anyone can see you. The bathtub floor has also been designed to be extra higher so it can prevent the pool of water coming in even when the pool is a little deep. The rainfly does not go down all the way. Even though the tent body is well ventilated, the rainfly also comes with vents to allow airflow when it is raining and minimize condensation. Some people complain the tent stakes are too weak so you probably want to upgrade the stakes if you are getting this tent. If you are looking for a tent that breathes well and is spacious, then you can go for this one. 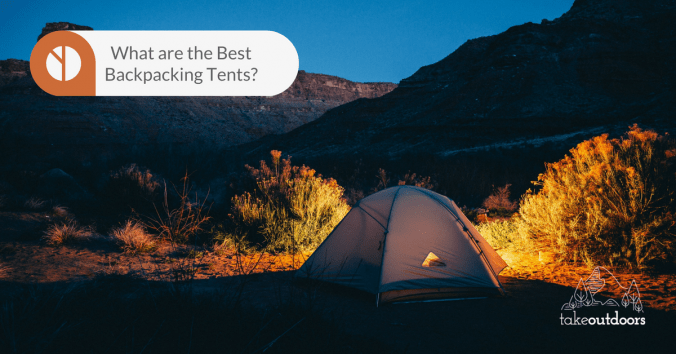 For backpacking tents, I feel that weight is the biggest factor in deciding the tent. There are really good ultralight tents but they also come with a bigger price tag. There are tents that are cheap and ultralight but you probably fear that it tears easily. The Big Agnes Copper Spur UL2 is definitely a high quality tent to consider if you have a bigger budget for it. However, in this article, we are also looking at the price factor to determine the winner. In my opinion, the winner would be Kelty Salida 2 Tent. It is lightweight yet it is strong enough to protect against the bad weather. Not only it won’t be a huge burden on your back, you will feel safe sleeping in it. Kelty Salida 2 has a great combination of lightweight, durability, and affordability.